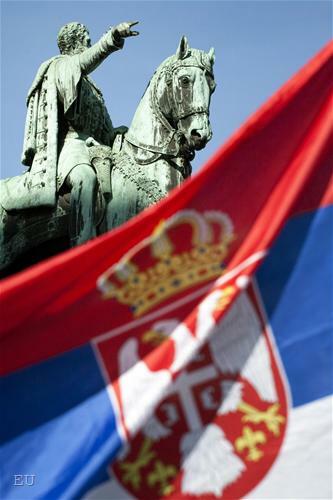 Just a week ago Serbia marked the 12th anniversary of the fall of the Slobodan Milosevic’s regime. Looking back towards the events of October 5th, 2000, some say that actually the return of the strongman’s ex spokesperson (Ivica Dacic) in top politics sends Serbia back to the murky decade of the 1990s, while others say that the tipping point of the country’s newest history was when former PM Zoran Djindjic, a democrat, was killed. According to this second group, if Djindjic’s ambitions had not been broken with his assassination, Serbia would have become an EU member state even before Bulgaria and Romania. Whether this would have actually happened, will remain unclear. 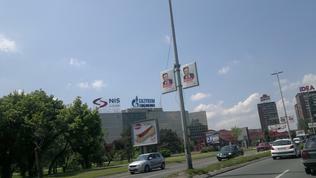 The facts today are that the power in Serbia is now split between the former followers of Milosevic and those of his ally at the time – the radical leader Vojislav Seselj - and that on its path towards joining the EU Serbia has only succeeded in gaining a candidate status, but has still not started negotiations and there are no indications that this could happen any time soon. The latest European Commission report on Serbia’s progress on its accession process shows the same. Just a day after the report was presented in Brussels, EU enlargement commissioner Stefan Fule visited (on Thursday, October 11th) the Serbian capital to personally deliver the Commission’s assessment to Serbia’s Prime Minister Ivica Dacic. But before that, however, Dacic said that "the conditions EU was setting, were unacceptable for Serbia". The reason: the country disagrees with the fact that in some of the bloc’s communication the phrase "territorial integrity of Kosovo" is mentioned. Following a meeting with Vincent Degert, the head of the EC delegation to Belgrade, who on Wednesday presented the report in Serbia, Dacic said this formulation hindered the dialogue between Belgrade and Pristina and that it would become a subject of serious political debates in Serbia. "Serbia was ready for a political dialogue even in October, but now we are facing the question whether this is just a milder way for us to be told to recognise Kosovo", he said, adding that this formulation was not used in the Commission’s official report, but could be seen in some other documents of the EU. Before the meeting on Wednesday, the Serbian premier announced he would ask Commissioner Fule to explain whether this formulation was a new condition for Serbia, because if that was the case Belgrade would not accept it. He, however, said that the dialogue between Belgrade and Pristina would continue in case the Serbian side had misunderstood what was written in the document. A day later, Commissioner Fule assured the authorities in the Serbian capital that Brussels' intentions were not to hinder, but to help Belgrade on its EU accession path. While attending a sitting of the parliamentary committee on EU affairs, he said that there was a chance for Serbia to receive a date for the start of the negotiations next year, but before that the country should cover a list of criteria. He reiterated that Serbia was an important factor in the region, which is most probably one of the reasons for his visit to Belgrade - to remind Serbia what could be done more to help the launch of negotiations. Those criteria are actually not new: most of all - improving the relations with Kosovo and continuing the reforms in the country itself. As for Dacic’s comment on the usage of the phrase "territorial integrity of Kosovo", Fule explained that this was not a way to put new conditions before Serbia, as it did not concern Kosovo’s status, but a possible separation. Another important task before Serbia, in the commissioner’s words, remains the fight against corruption. He hailed Serbia’s efforts in this direction in the recent months and expressed hope that the reforms in this area would continue with cooperation between the police, the judiciary and the justice ministry. Apart from implementing these reforms, Serbia should also focus on the independence of key institutions, that is the one of the central bank in particular, as well as on the constructive dialogue with the rest of the countries in the region. The main conclusion in the report, according to Fule, is that once the Commission assessed that Serbia had achieved the necessary degree of compliance with the accession criteria, especially in the key areas, and had moved forward to improving its relations with Kosovo, it would issue a new report in which it would recommend negotiations to be opened. At the same time, while recommending Serbia to improve its relations with Kosovo, the Commission also tells the former Serbian province to work on establishing such relations, while in the meanwhile both sides do their best not to hinder each other’s accession process. As a major element of this process, the report sees the resolution of the problems in northern Kosovo, as well as observing the local population’s needs. In its report, the Commission says that it has already concluded that soon a Stabilisation and Association Agreement (SAA) between the EU and Kosovo could be signed as a first step of the accession process. Before that, however, the Pristina authorities are urged to improve the institutional and legal framework, which should be used as a basis for a future agreement. The Commission also says it is ready to propose negotiations once Kosovo has achieved substantial progress in several key areas: rule of law, public administration, minority protection and trade. As for Serbia’s wish to join the bloc as quickly as possible, which was also set as top priority by the new government, Belgrade still seems to be looking both in the direction of Brussels and in that of Moscow, at least judging by its first men's words. After it recently became clear that Serbia would secure a loan from Russia to partly fill its budget gap in, earlier this week, during his visit to Rome, Serbian President Tomislav Nikolic unequivocally said that Serbia wanted to join the EU, but it would also continue to cooperate with Russia. 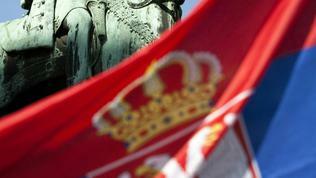 "My idea has always been Serbia to have everything needed to be a bridge between the East and the West. It would be mistake if we do not use our strategic position. We want our country to continue on its path towards Europe, but I do not see anything wrong if in the same time we developed economic relations with countries outside EU", Nikolic was quoted by Serbian media as saying in an interview for an Italian daily.